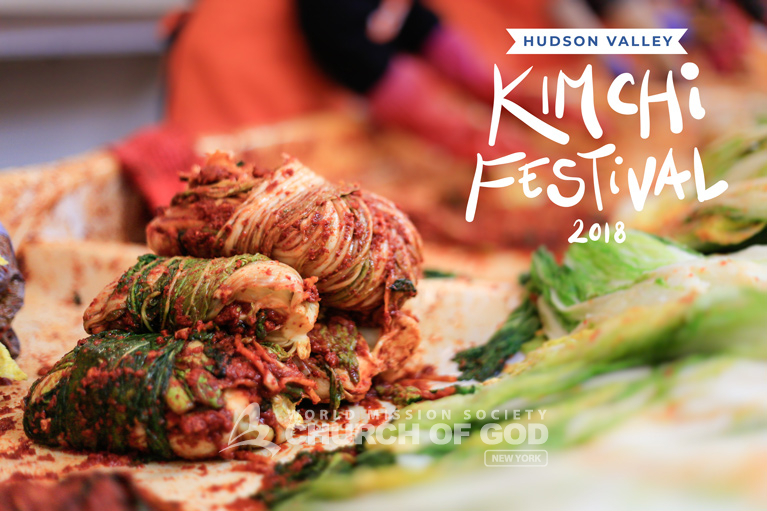 The Church of God brought back its popular Korean food festival this year, with the Hudson Valley Kimchi Festival 2018. 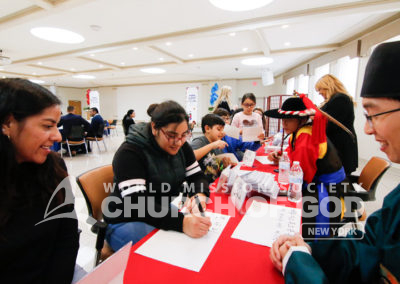 The Church of God in New Windsor hosted the third installment of the festival on December 9. The festival brought the lovers of Korean fare together under one roof to enjoy all types of well-known Korean dishes. 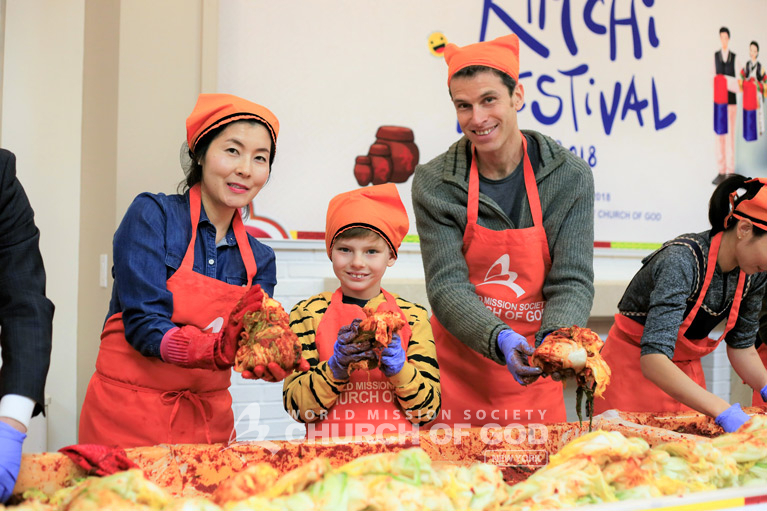 And of course, people partook in the festival’s main attraction—learning how to make kimchi. It’s been a long-time Korean tradition to prepare kimchi before the cold winter sets in. Since the harvest was no longer a viable option in December, fermented food became the next best option. It is said that kimchi was created about 2,000 years ago, but there is no approximate date. However, over time, kimchi developed and evolved into what it is now—Korea’s most consumed side dish with 200 different recipes. Kimchi festivals are a common occurrence in Korea. 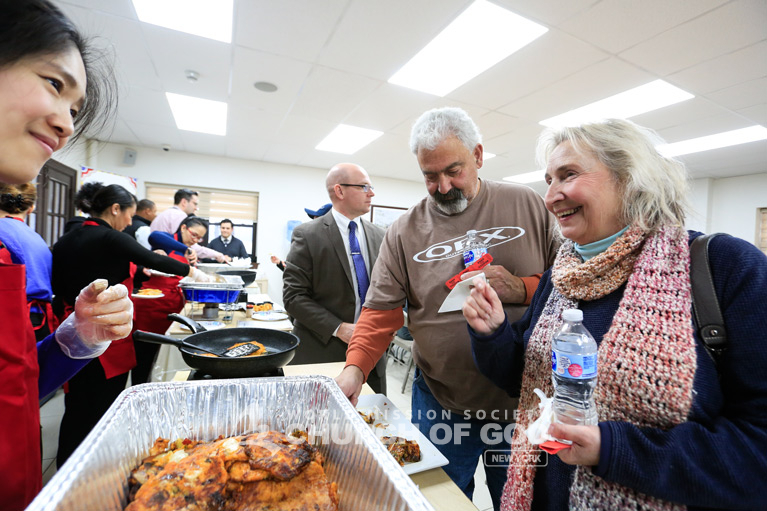 The festivals are a great way to bring the community together or to make food for those in need. Conversely, in the U.S., kimchi itself is just starting to catch on as a popular superfood. 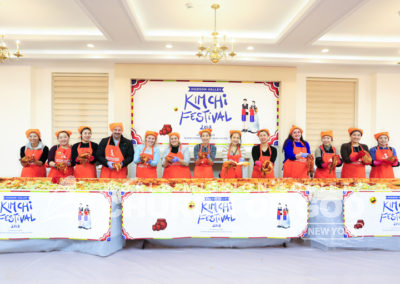 So American kimchi festivals are, for the most part, unheard of. This is, perhaps, the reason behind the Hudson Valley Kimchi Festival’s success—there’s nothing else like it. Kimchi festival participants post with their kimchi creations. Who knew that making kimchi could be such a blast? 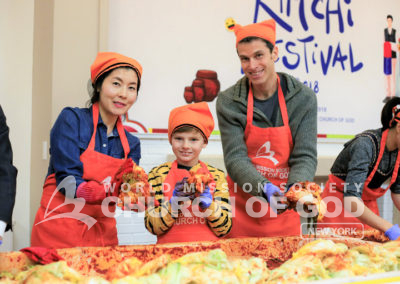 A father and son learn how to make kimchi at the Hudson Valley Kimchi Festival 2018. 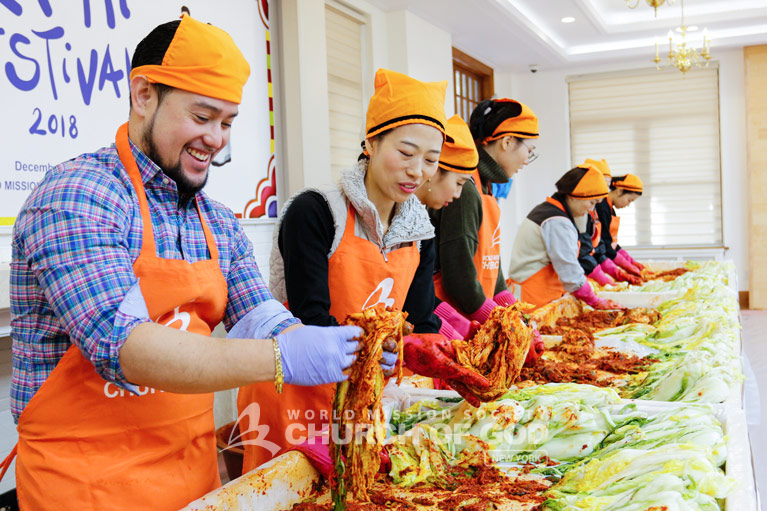 Kimchi making sessions took place throughout the course of the day. 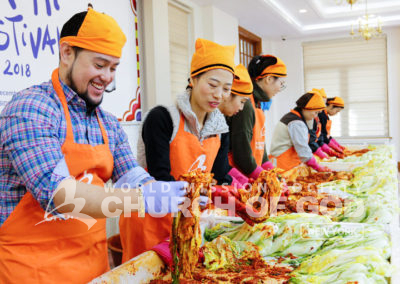 Wearing aprons and festive Korean hats, participants learned how to mix cabbage together with red pepper paste and other ingredients to create the perfect blend of rich tastes that kimchi is so famous for. Nevertheless, kimchi wasn’t the only food people got their hands on. 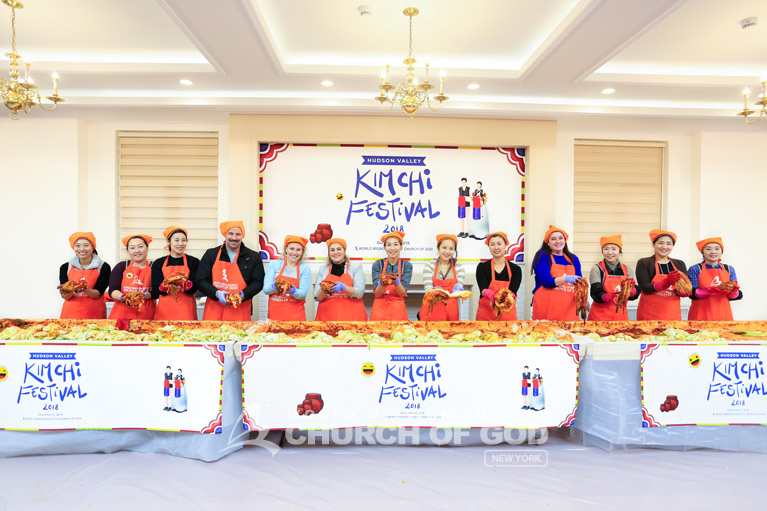 Festivalgoers enjoyed Korean food to their hearts’ content. There was something for everybody; from Bulgogi (Korean BBQ beef) to LA Galbi (Korean BBQ Short Ribs) to all sorts of Korean pancakes. With more than 12 different food stations making food, attendees had the liberty to go and grab one dish after another all day long. Meanwhile, there were traditional Korean games—these were especially a hit with the kids. Also, native Korean volunteers dressed up in traditional attire that would have been worn by the likes of kings, queens, governors and scholars. Families took photos with the Joseon Dynasty lookalikes in front of a scenic backdrop. 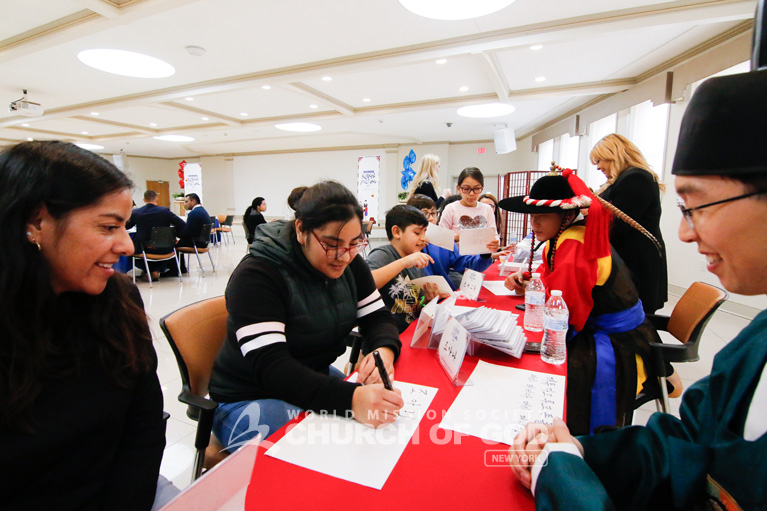 An attendee learning how to write her name in Korean. Festivalgoers stopped by the kimchi pancake stand for a bite. Posing with Korean royalty from the Josean Dynasty at the Hudson Valley Kimchi Festival 2018. 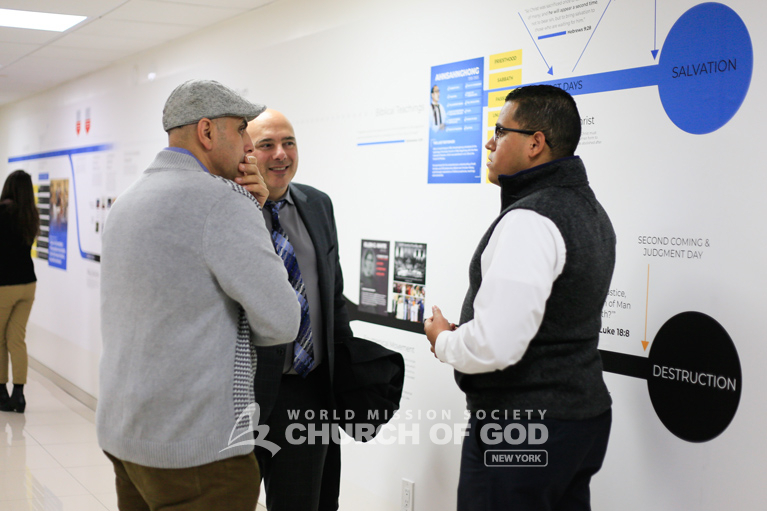 Additionally, first-time visitors also had the opportunity to go through the church’s miniature Christian history exhibit. 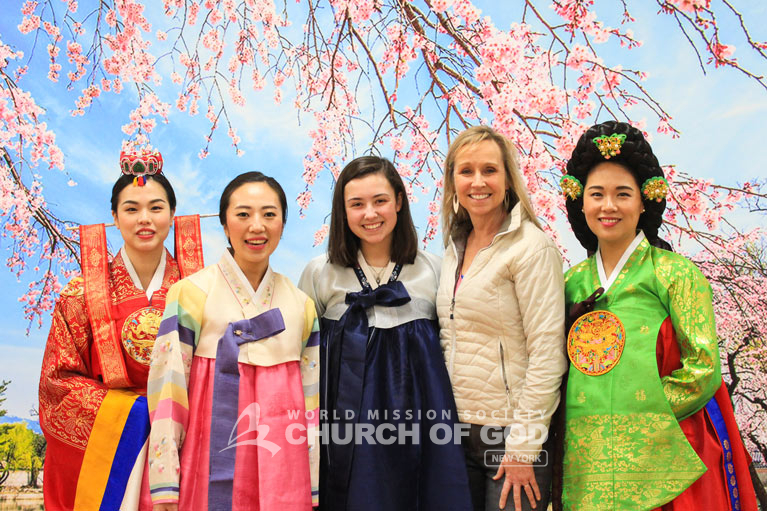 The Church of God was founded in South Korea, so it was natural to bring the festival and the church’s heritage together. 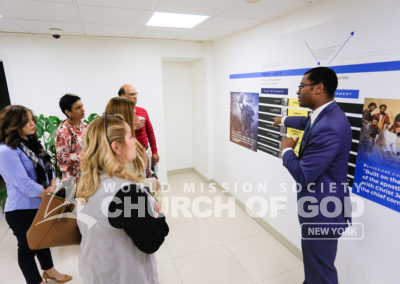 Many of those who went through the exhibit were surprised to learn that the Early Church deviated from the New Covenant established by Jesus Christ. Eventually the truth (the feasts of God) disappeared completely in the Dark Ages. As a result, Christians began keeping manmade customs that originated from paganism. The exhibit went on to explain how many reformers appeared, but that only Ahnsahnghong was able to restore the truth of the Early Church. According to Bible prophecy, such an act could only be accomplished by Christ when He returns to the earth. 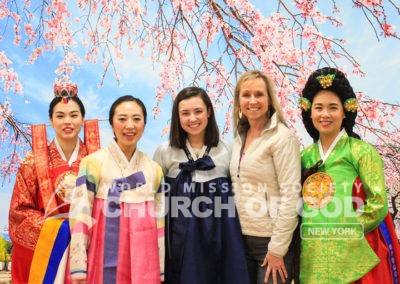 For this reason, the World Mission Society Church of God believes that Ahnsahnghong is Christ. Moreover, Christ Ahnsahnghong revealed the most important truth of the Bible—the existence of God the Mother. He taught that just as we have our earthly mothers who give birth to us, we also have our Heavenly Mother who gives us eternal life. In the past, Korean mothers prepared kimchi for their families to have food during the long winters. This type of custom brought families and neighbors together year after year, with mothers being at the heart of the tradition. 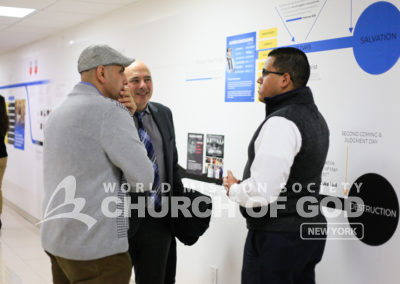 Similarly, the Church of God, with the love of Heavenly Mother at its core, hopes to share camaraderie with its neighbors and warm their hearts. 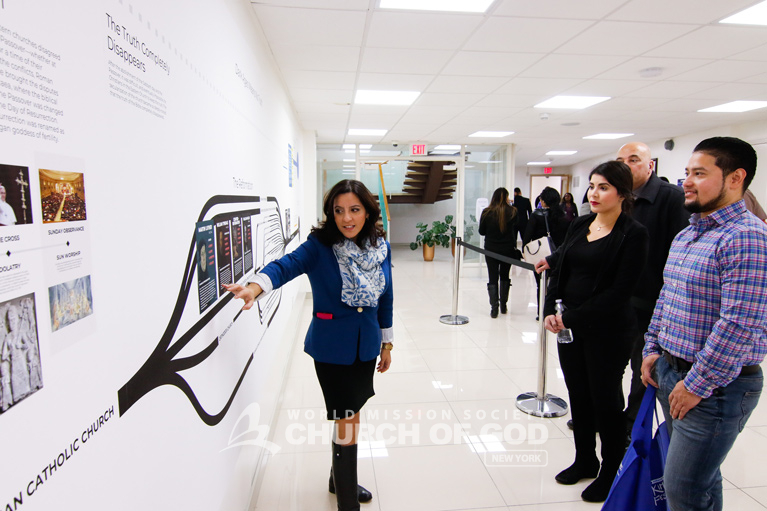 Guests were intrigued as they learned about the history of Christianity. 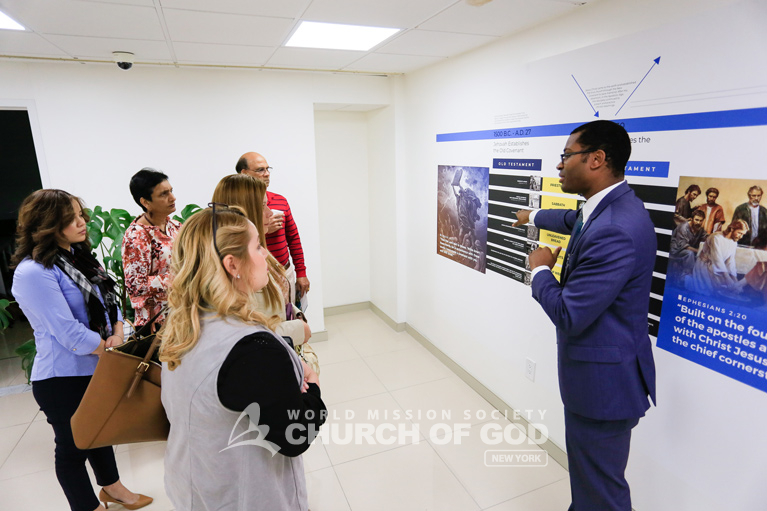 Those who went through the exhibit portion of the festival discovered the truth of New Covenant. Attendees learning about the history of the reformation and the Dark Ages.